Heartbreak can happen from anything—a failed relationship, a devastating realization, a sudden change. It’s hard to let go. Our bodies will become especially protective, creating tension in the shoulders and lower back as we attempt to hold ourselves up and support the heart. Yoga can help you start to heal, but it’s important to be gentle with yourself. Your balance may be challenged and you may be resistant to strong, standing postures. That’s okay. Give the body the slowness and the support that it means. An important note: I recommend including the standing flow in this 30-minute yoga sequence only if you are past the grieving process and ready to reclaim your emotions. If the thought of a High Lunge makes you miserable, than skip the standing sequence. Hold the grounded poses longer. Be where you are, as you are. This is your time to heal. Begin in Supported Supta Baddha Konasana. With the soles of the feet together and the knees splayed out, lay back on a bolster or a firm pillow. Relax the arms by the sides while the chest cavity peels open. Breathe deeply into the base of the belly. As the mind wanders and ruminates on the heartbreak, recite a loving-kindness mantra to yourself. Hold it with you. May I be healthy. May I be happy. May I be free. Hold Pigeon pose for at least a minute on each side. 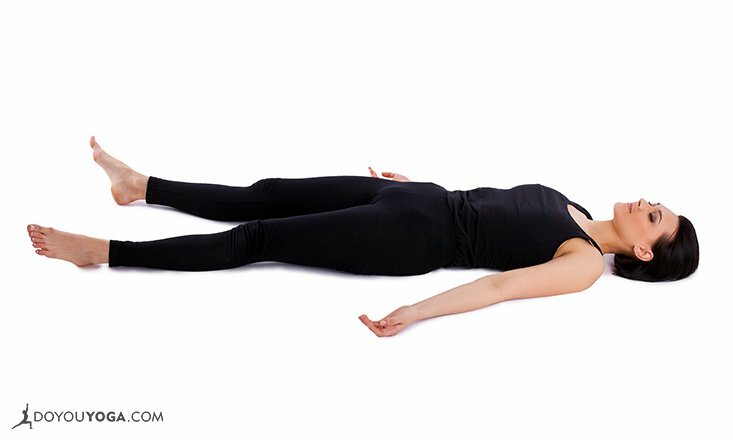 Consciously relax the outer hips and descend the pelvis closer towards the floor. This is a vulnerable, emotional pose. Stay in it. Use any of the props, blocks, or pillows that you need. Remember the loving-kindness meditation. Remember to breathe. Place a block or a stack of books underneath the sacrum. Widen and release the lower back. Breathe big, full breaths into the chest. Let this be an emotional moment. Isolate the feelings inside of you – pain, sadness, confusion. Recognize them one by one. Release them on each exhale. Stay until you can breathe deeper and fuller, cracking the heart open and accepting all that pours out. Close with a Supported Baddha Konasana. Sitting on a blanket, place two blocks on the lowest height towards the front of your mat. Rest your feet on the block, soles together and knees out. Lifting the feet above the pelvis will give the shoulders and back a slightly deeper stretch. Grab your shins and bend your elbows, folding your chest towards your ankles. This will be a deep stretch in both the hips and the lower back. Play around with the blocks, moving them forwards or backwards as the feet shift closer or farther from the groin. Find a place where the body clicks open. This is the final moment to feel all of the emotions. The hurt, the pain, and the confusion all need to be felt for the body to fully surrender. Release the muscles into the earth and feel the support underneath you. Feel the heart as it pumps and pulses inside of you. Feel the breath. If the mind continues to ruminate on a painful thought, come back to the loving-kindness meditation. May I be healthy. May I be happy. May I be free.